On September 7, which marked the 39th anniversary of the passage of the Second Amendment to the 1973 Constitution that declared Ahmadis non-Muslims in Pakistan, a number of commemorative conferences were held by a conglomerate of anti-Ahmadi groups. The gatherings were rife with inflammatory slogans – Ahmadis were referred to as ‘apostates’, ‘fifth-columnists’ and ‘stooges of the West’ – and calls for action: Ahmadis ought to be “chased until death” and “that the noose be tightened around their necks”. The Ahmadi community has been persecuted in Pakistan since the early years of the country’s formation. But does it face a similar plight in other countries with significant Muslim populations? Indonesia is reportedly home to some 500,000 Ahmadis, who are increasingly the subjects of pressure and persecution. In 2008, the country’s top Islamic body passed a fatwa declaring Ahmadis a ‘deviant’ sect; a law was also passed to curtail ‘proselytising’ by the community. In 2010, an Ahmadi mosque was surrounded by a 200-strong crowd, who pelted the building with stones before being dispersed by the police. 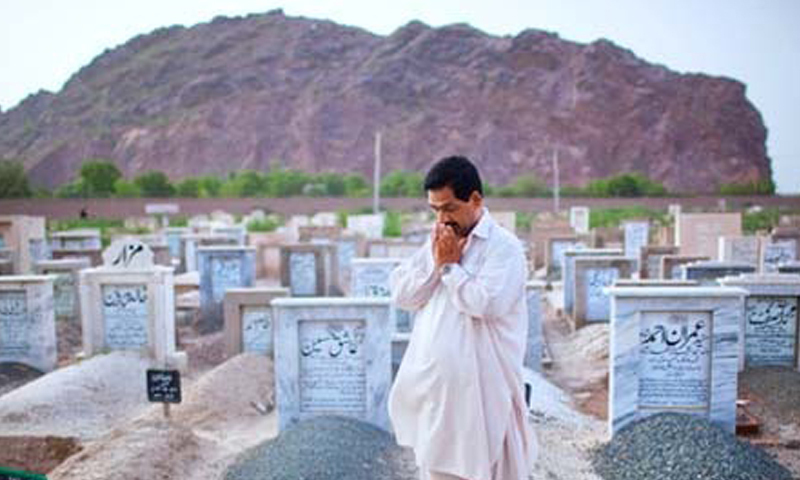 In 2011, an Ahmadi household was circled by a mob and three of its members were beaten to death. Footage of the assault, in the presence of policemen, stirred international outrage. As of 2011, the sect faces a ban in Indonesia. Approximately 100,000 Ahmadis reside in Bangladesh; in the past decade, in particular, they have found themselves targeted on multiple occasions. In October 2003, some 17 Ahmadi families in a village of Kushtia district were declared ‘excommunicated’ by a local cleric, under whose edict they were forbidden from harvesting their crops, partaking in commerce, sending their children to school and even from talking to each other in the presence of other villagers. It took 25 days and intervention by the Home Ministry for the families to be released from their plight. No action was taken against the cleric. During the same month, in another district, the imam of a local Ahmadi mosque was beaten to death in front of his family by a crowd of 90 people, ostensibly, because he refused to recant his faith. Since then, many anti-Ahmadi groups in Bangladesh have sought the support of Islamic parties in order to have Ahmadis officially declared non-Muslim. In 2004, the government issued a press release stating that all publications of the Ahmadi community, including the Quran and any interpretations of it, would henceforth be banned. No further information was made available and no government communication explaining this announcement was sent to members of the Ahmadi community. Under Indian law, the Ahmadi community is officially recognised as Muslim, the result of a landmark judgment by the Kerala High Court in 1970, which determined that the sect could not be declared heretic since it upheld, according to the court, the core tenets of Islam: Belief in the oneness of God and in the last prophet as His messenger. However, Ahmadis are not represented on the All India Muslim Personal Law Board, which is recognised by the government as the official representatives of Indian Muslims, ostensibly due to pressure from the more mainstream Muslim sects. It is clearly in Pakistan that the community faces the greatest and, arguably, the worst kinds of violence. Six Ahmadis lost their lives in the 1953 anti-Ahmadi riots across Pakistan. Another wave of riots in 1974 led to the passage of the Second Amendment by the country’s first government to be elected under universal franchise, which declared Ahmadis as non-Muslims. According to one media report, in the period between 1984 (when then President Ziaul Haq introduced further legislation prohibiting the community from propagating or professing their beliefs) and 2009, approximately 105 Ahmadis were target killed. That number almost doubled a year later when, in May 2010, two of the community’s mosques were attacked in Lahore, leaving over 90 people dead. Between 1984 and 2009, according to figures put together by the community, 22 Ahmadi mosques were demolished, 28 were sealed by authorities, 11 were set on fire and 14 were occupied. Construction of a further 41 mosques was prohibited. There are, at least, 47 recorded cases of burials being denied in common graveyards and of the exhumation of some 28 bodies. One reason for the more pronounced persecution could be the community’s relatively larger numbers in Pakistan — over two million, according to the Immigration and Refugee Board of Canada, a conservative estimate. Another is the economic status of the community: Ahmadis in Pakistan tend to be financially well off, and highly educated. It is worth remembering here, that the country’s only Nobel laureate, Dr Abdus Salam, and its first foreign minister, Sir Zafarullah Khan, were Ahmadis. The increasing radicalisation of the Pakistani state and society is another factor — in November 2001, a poll conducted by the Pew Research Cener found that two-thirds of all Pakistani Muslims regarded Ahmadis as non-Muslims. Moreover, in the treacherous hierarchy of ‘persecution worthy’ targets, declared heretics are likely to figure above communities of other faiths, especially if the state has given them an official stamp of disapproval. Indeed, state apathy – and on many occasions, complicity – may go a long way in explaining the plight of the Ahmadi community in Pakistan. Indeed, the crowning example of state collusion may be an incident that took place last month: When protesters in Gujarat threatened to destroy minarets of an Ahmadi mosque, policemen in the area decided to prevent further trouble by demolishing the minarets themselves.